In 2010, I began my journey in martial arts, specifically Taekwondo. A close friend of mine, who has been with Precision for many years, introduced me to Precision Martial Arts Academy. My first class was exciting, scary, and breathtaking. 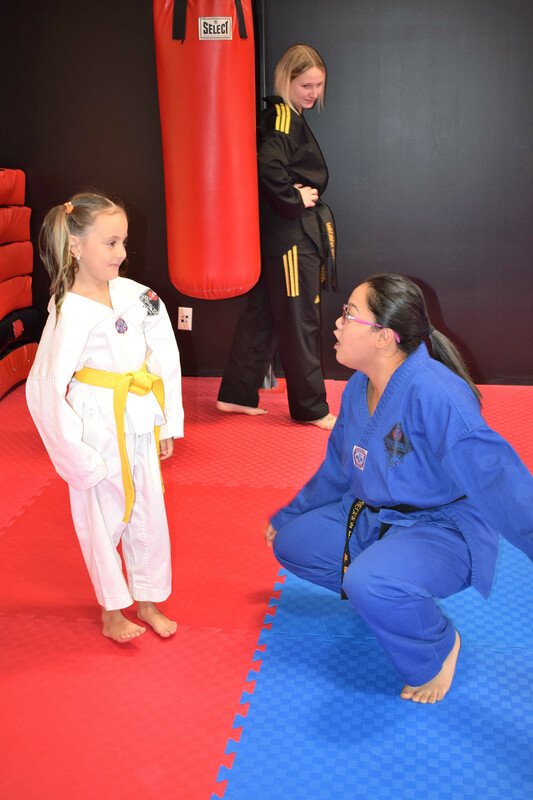 I was excited to be at a Taekwondo school because I have always wanted to learn self-defense. 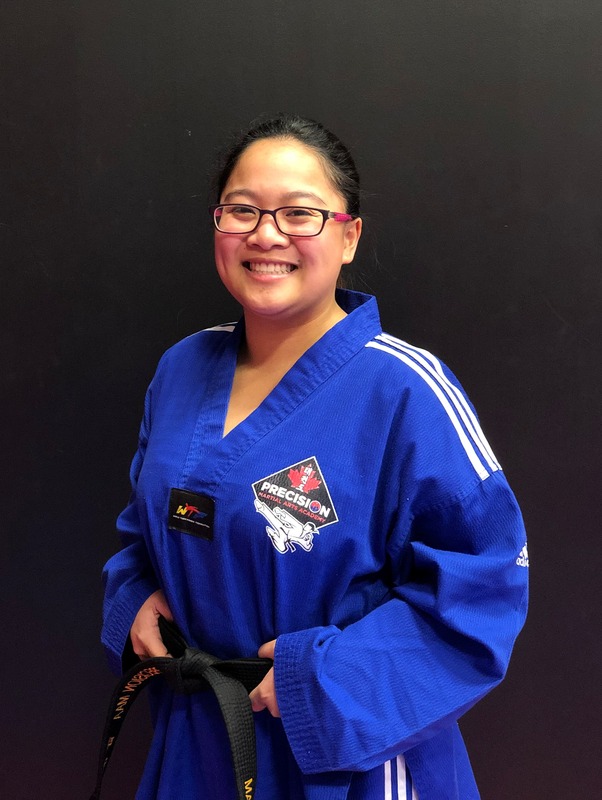 At the same time, I was scared because, at that time, I was the only white belt and surrounding me was higher belts, more specifically, black belts. It was breathtaking at the end of the class because I had the most AMAZING time. While I was working with higher belts, they continued to encourage and challenge me. I felt like I was part of a family. What I learned that day was that no matter what belt levels you were, everyone is treated with respect, kindness, and full of encouragement. As years go by, I became more and more passionate about Taekwondo and the school. Precision Martial Arts Academy taught me more than self-control; they taught me respect, discipline, hard work, teamwork, fitness, and passion. When I was a colored belt, I was encouraged to join the leadership team and I was beyond excited. It was a goal of mine to be part of the team in order to help other students succeed. However, when I received my black stripe belt, I had to take a pause from my training. I was starting high school and needed to focus on my grades, as well as my part-time job. I did not prioritize my training or my fitness; therefore, I needed a break to think about what I truly wanted. What I realized during that break was that I had the “Taekwondo twitch”, as many of my Taekwondo classmates told me. This was when I could not stop thinking about my training, fitness, and curriculum and I would always end up practicing, even when I was not enrolled. After a year or so, I decided to return to Precision Martial Arts Academy. 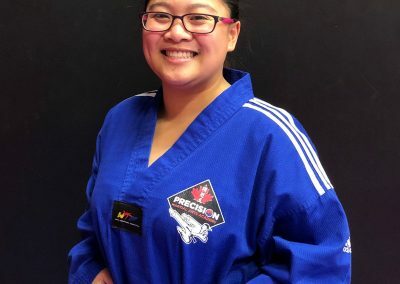 I could have gone to any Taekwondo school in Edmonton but the impact that Precision had on me was so positive and strong that I didn’t even think, or consider, going to a different martial arts school. Precision was the only place I felt supported, other than my actual home. Precision was my other home with my Taekwondo family. During high school, I had an English teacher tell me that school was not for everyone after I showed up to their office crying. I was struggling with the subject they were teaching and I did everything that I was supposed to do. I even stayed during my own time trying to understand the topics and tried to study the hardest I could, but it had no effect. The only advice that the teacher gave me was that school was not for everybody and how their specific family member was rich and successful even though they did not finish school. At that point, I did not enjoy going to her class and even thought about dropping out of high school, but I did not. The reason being was that Precision taught me to continue fighting and never give up. To maintain positive when things get extremely tough. Precision was the only place that I found encouragement. 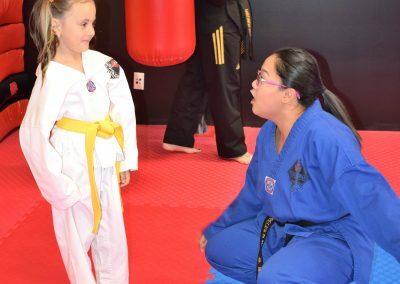 I was able to be myself and talk to others when I was struggling with a certain self-defense technique or Poomsae. Master Sadler also continued to push me outside of my comfort zone and challenge me to be the best. Now, I am currently a 2nd Dan, going for my 3rd Dan, Black Belt instructor at Precision sharing my passion with everyone. My energetic spirit continues to rise as I continue my training. Even when I’m exhausted from my new job, the only place that my body, mind, and soul want to be is at Precision Martial Arts Academy, practicing the sport I love. With my 22 years old body limitation (asthma and joint pains) I still continue my practice. I listen to my body and rest when I need to and during training; I keep my own pace and worry about myself first. When I teach students, I’m always excited. I get to show them why I fell in love with Taekwondo. I get to share my energetic spirit and moments with them. When I see the student struggles, I share my stories and encouragement to continue and put a smile on their face. 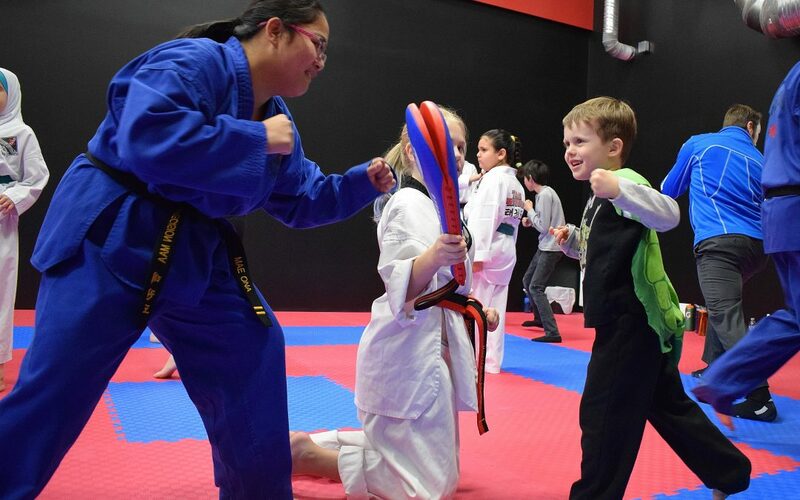 Taekwondo is passion, fun, discipline, and more. To me, Taekwondo is my life.